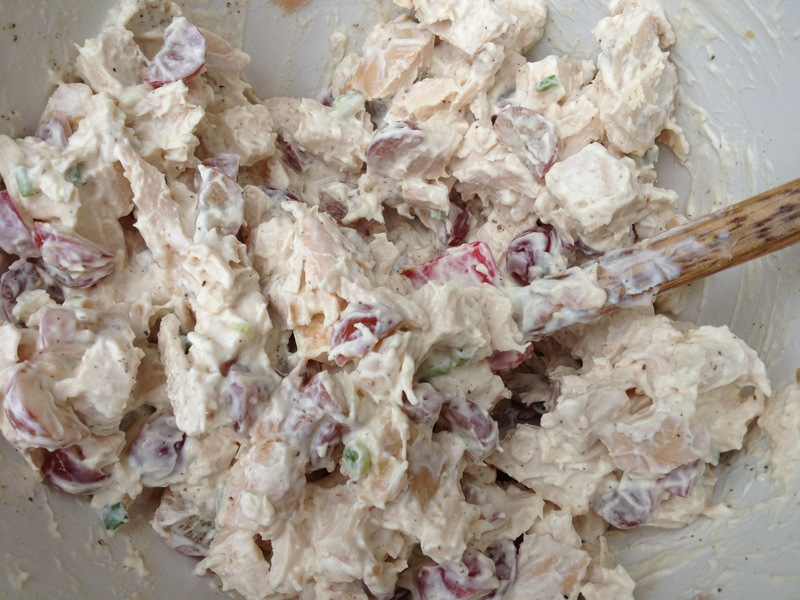 I wanted to share my recipe for chicken salad. This is a recipe that I make all of the time. When I need to pack a lunch to take out with us I will make a batch and put it in a Tupperware, bring a loaf of bread and take it with us. 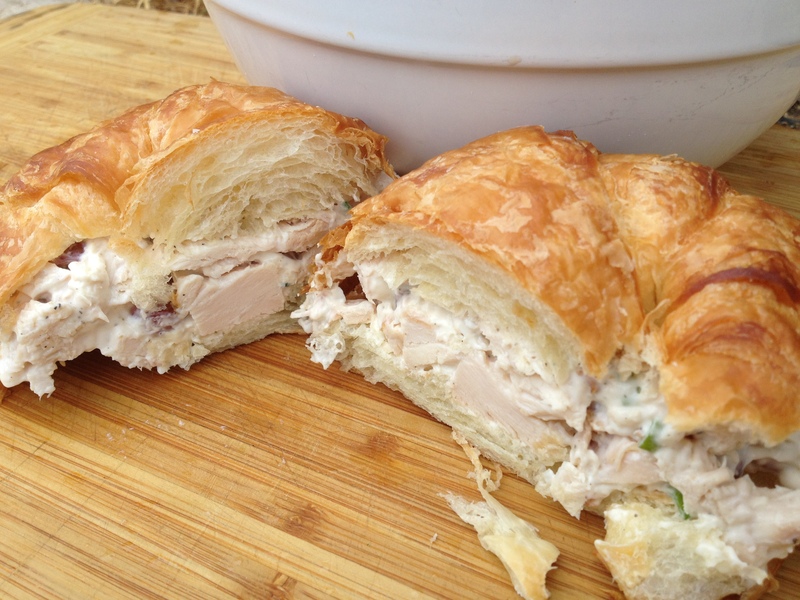 When I’m having a lunch time gathering and want to make it a little more special I will serve it on crescent rolls. However and whenever it is served everyone loves it and wants to know how I made it. 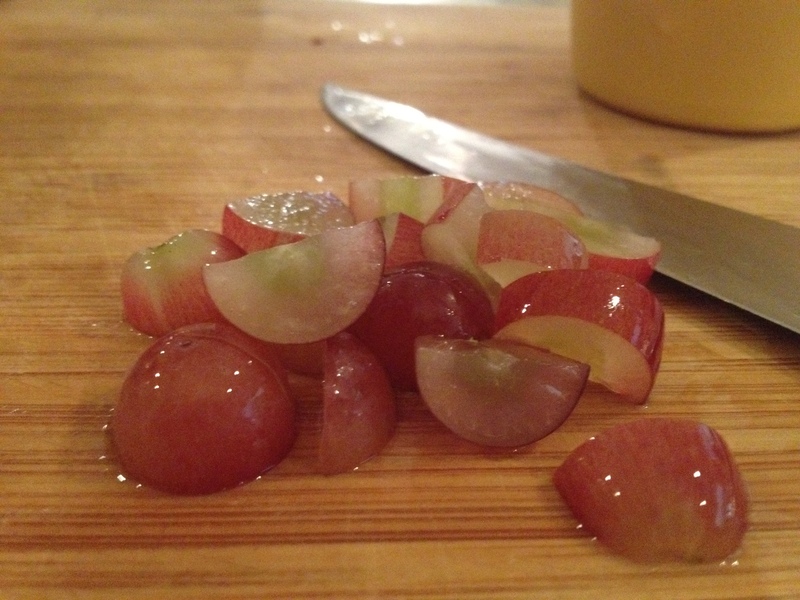 In a medium bowl mix the chicken, grapes, chives, and pepper. Then add the mayonnaise and mix until combined. Serve on whichever type of bread your family likes best. 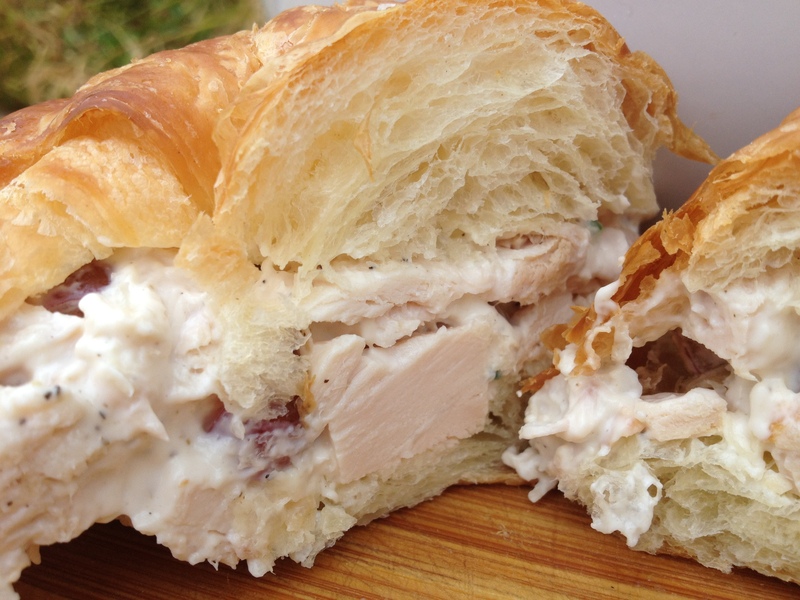 You don’t need to add any extra salt because the rotisserie chicken is already seasoned.